Linhvistychni Studiyi / Linguistic Studies (Certificate of State Registration of Printing Mass Media of Series КВ № 22549-12449ПР dated 20.02.2017) is a peer-reviewed international collection of scientific papers founded in 1994 at Donetsk National University named after Vasyl Stus. The collection is approved by SAC of Ukraine as a specialized one. Both Editorial Council and Editorial Board include highly qualified experts and researchers from leading academic institutions and universities from different countries. Linhvistychni Studiyi / Linguistic Studies contains original scientific theoretical and applied studies on various issues of modern linguistics, as well as cross-disciplinary researches. Published semiannually. The main criterion for evaluation the study is its quality. Submitted articles are evaluated without regard to ethnic origin, religious belief, nationality and political views of the author. If the research is based on the methodology or scientific achievements of a famous scientist this should be stated in the paper. If the author has used the research outcomes of others this has been appropriately cited or quoted. Proper acknowledgment of the work of others must always be given in the submitted articles. Submitting deadline is October 25th, 2017. Languages of publication in Linhvistychni Studiyi / Linguistic Studies are Ukrainian, Russian, English, Polish, Bulgarian. Priority is given to the articles in English. FUNDS for the publication of articles and abstracts must be calculated in UAH at the rate of $3 (USA) for 1 printed page (2400 characters with blanks). Submissions of Doctors of science are published at no charge. Manuscripts in English are published at no charge. Transfer of finance for publishing must be carried out only AFTER RECEIVING A CONFIRMATION LETTER about acceptance your paper for publication (on these issues, please, contact: ls.donnu.ukr@gmail.com). Electronic submissions should be made to ls.donnu.ukr@gmail.com. In accordance with the Resolution of the Presidium of SAC of Ukraine from 15.01.2003 No 7-05/1 “About Increase of Requirements to Specialized Publications Included into the Lists of SAC of Ukraine” (Bulletin of SAC of Ukraine. – 2003. – No 1) a scientific article is supposed to contain the following issues: “setting the problem on the whole and its connection with important scientific or practical tasks; analysis of recent studies and publications in this direction that serve as a basis for an author`s research; determination of the parts of general problem considered in the submitted paper that have not been dealt with previously; formulation of the purpose of the paper (setting a task); presentation of research with complete validation of obtained results; conclusions and prospects of future search in this direction”. SUBMISSIONS WHICH DO NOT MEET THE REQUIREMENTS OF SAC OF UKRAINE AND INTERNATIONAL SCIENTOMETRIC DATABASES (ISD) CANNOT BEEN TAKEN UP. Papers should be submitted in electronic form in *.doc / *.docx formats. Names of files (only in Roman script) must conform to author`s surname, for example: petrenko.doc. Size of the article is from 12000 characters with blanks. Parameters of page are 2 cm all margins. Size of paper is А 4. Type is Times New Roman, 12 point, and “normal” (“ordinary”) style. If you use another type you have to provide it in a separate file. Line spacing is 1.5. Indention for a new line is 1 cm. The text is printed without division of words. There is author`s name and surname typed in bold on the first line in the right corner. The second line must contain a UDC-code (in ordinary script) typed on the left. There is an article name on the next line (centred, in bold, capital letters). An annotation in Ukrainian (5-10 lines) is double-spaced, in italics. It is followed by a set of keywords in italics, too. Body text follows the annotation one line on (justified). Examples (lexemes, phrases, etc.) are typed in italics. Please, distinguish a dash (–) and a hyphen (-): difference is in size and blanks before and after dash. Abbreviations i. e., e. g., p. t. o., XVIth с., initials on surnames (for example, R.J. Watts) are typed with indissoluble blank (keys Ctrl+Shift+space-bar are pressed simultaneously). Comments are made in automatically (Inset – Comments). If diagrams are given in the article they must be grouped (View – Instrument Panel – Drawing – Option of object. Pressing the key “Option of object”, highlight objects that have be connected in a group, press the key “Operations” on the panel “Drawing”, and choose the command “To group”). German linguist M. Pfister considers it as an absolute blend of all the high and the popular (mass) (Pfister 219). За Словником української мови в 11-ти тт., концепт становить “формулювання, загальне поняття, думку” (SUM 4: 275). According to Dictionary of the Ukrainian Language in 11 Volumes, concept refers to “formula, general notion, idea” (DUL 4: 275). В.І. Карасик … виділяє такі групи категорій дискурсу: … (Karasik, “O tipakh diskursa” 201). Cутність дискурсу розкрито з позицій декількох галузей гуманітарного знання… (Karasik, “Yazykovoi krug” 192–194). V.I. Karasyk … distinguishes the following discursive categories: … (Karasik, “O tipakh diskursa” 201). The essence of discourse was explained from the positions of several humanities branches… (Karasik, “Yazykovoi krug” 192–194). References, List of Sources, and List of Abbreviations should be given in alphabetical order, in compliance with MLA Style (Modern Language Association Style) that is the basic standard for publications on humanities, in particular on linguistics and literary studies, in the international journals (more details are available at: https://www.mla.org/MLA-Style or https://owl.english.purdue.edu/owl/resource/675/01/). Titles of the works written in languages with non-Roman alphabet (Ukrainian, Belarusian, Serbian, etc. ), as well as the names of their authors should be provided in transliterated form (it is recommended to use the following site for proper transliteration: http://translit.kh.ua/?bgn#lat/bgn). Additionally, in the brackets there should be provided the translation of work's title and journal’s title (if the article cited is from periodical). If the source cited is printed, at the end of entry there should be stated: Print. If the source cited is electronic (available online), at the end of entry there should be stated Web and the date of access to the source, for example: 12 Jan. 2016 (12th of January, 2016). References must include not less than 8 entries. Kondratenko, Nataliya. “Intertekstual'nist' v Ukrayins'komu Politychnomu Dyskursi (Intertextuality in the Ukrainian Political Discourse).” Reklama ta PR u Masovoinformatsiynomu Prostori (Advertising and PR in Mass-Information Space). Odesa: Astroprint, 2009. 155-60. Print. For automatic generation of References in compliance with MLA Style it is recommended to use the following resources: https://www.citethisforme.com/mla or http://www.easybib.com/mla-format/. The title List of Abbreviations is typed one line after the List of Sources (in bold type, centered). The author of submission has to provide an ENGLISH ABSTRACT of the article in a separate *.doc/ *.docx file, which is supposed to include the following components: article’s title (in bold), author’s name and surname (in bold), department / section, institution / organization, city, region / province, country; background (of the research conducted), purpose, results, discussion, key words (each component should be given on a separate line with ordinary type, titles of these components should be given in bold). Author’s vitae in the end of Abstract should include author’s full name, scientific degree and title, current employment place (for postgraduate students it is necessary to specify an area of studies), scientific interests; e-mail for correspondence. Author’s abstract should be all-sufficient and comprehensible without reading the article, the text of the abstract must be coherent; it is recommended to avoid passive voice forms. Presentation of the main results of the study and the motivation of their significance should comply with the logic of the results description in the paper. Author abstract should not be a translation of annotation in Ukrainian. Please note that only papers written in professional, high-quality, academic English (not an automatic translation) will be accepted. If the linguistic execution of submission does not meet the stated requirements, it will be returned to the author for revision, and re-taken up only with accompanying confirmation of the translation quality made by a qualified translator or translation agency. The abstract’s size should not exceed 300 words. In a separate file in *.doc / *.docx format there should be given the following information about the author in English and in Ukrainian: author’s full name, scientific degree and title, current employment place (for postgraduate students it is necessary to specify an area of studies), home address, phone number, e-mail, scientific interests. The file title (in Roman script) should contain author's surname and the word “vidomosti”, e.g. : petrenko_vidomosti.doc. If the article is written in English or another foreign language, it's heading should also be given in Ukrainian in file with information about the author. Submissions are double-blind peer reviewed by the experts in the corresponding area on compliance with the structural, semantic, and technical requirements, as well as requirements for articles in ISD. Contributions that meet the requirements will be recommended for publication according to the resolution of the Editorial Board. The article can be returned to the author for revision or further work with this material. Editorial Board holds the right to reject articles that do not meet international standards of publications in scientific periodicals registered in ISD. Authors are fully responsible for the scientific content presented in the article. 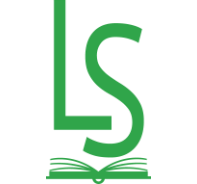 More information about Linhvistychni Studiyi / Linguistic Studies is available on the official website of the collection: http://www.linguisticstudies.org/. Editorial Board is not responsible for the information posted on other websites.